Thank you to the Yellowstone Country Montana Tourism Region for hosting our recent visit to Yellowstone Country. All opinions we provide are our unique views and reflect our experiences. We pledge to provide our audience with truthful and honest reviews. Our trip to the Yellowstone Country in Montana was life-changing. You read that right. Never had we together experienced a place like this before. The wide open spaces, the friendly open people, slow relaxed pace and the food. Wait…did you say food? Yep. Sure the west is known for high quality, great tasting meat. But there’s so much more to explore. 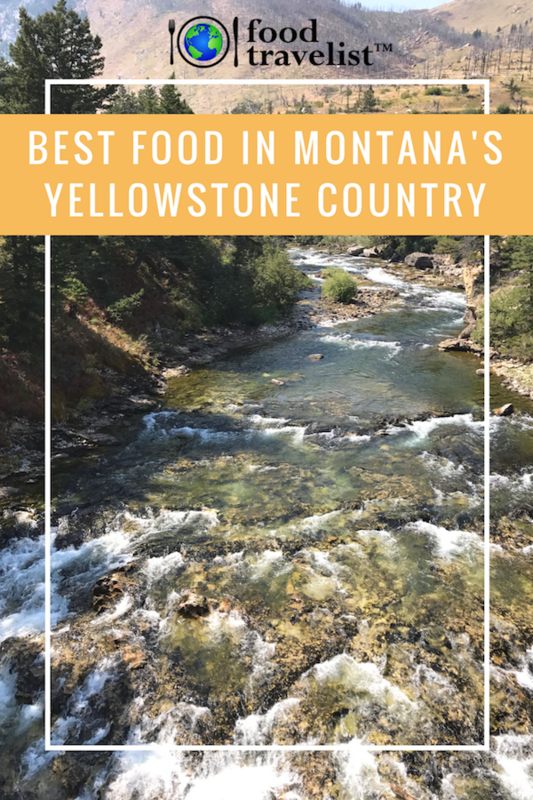 Let us take you on a tasty journey through Yellowstone Country to show you just some of the delicious stops along the way and share why we fell in love with this beautiful part of the world. 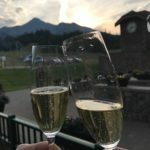 When you think of Montana the first thing that pops into your mind is probably “Big Sky Country.” After arriving at the classic lodge style airport in Bozeman it was no surprise that our first stop was the Big Sky Resort. 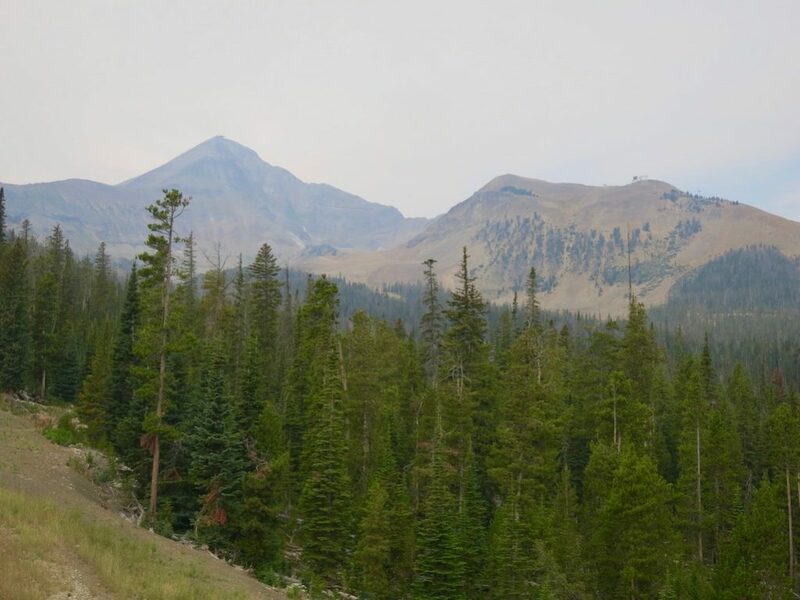 It has 5,800 acres of land in Yellowstone Country. 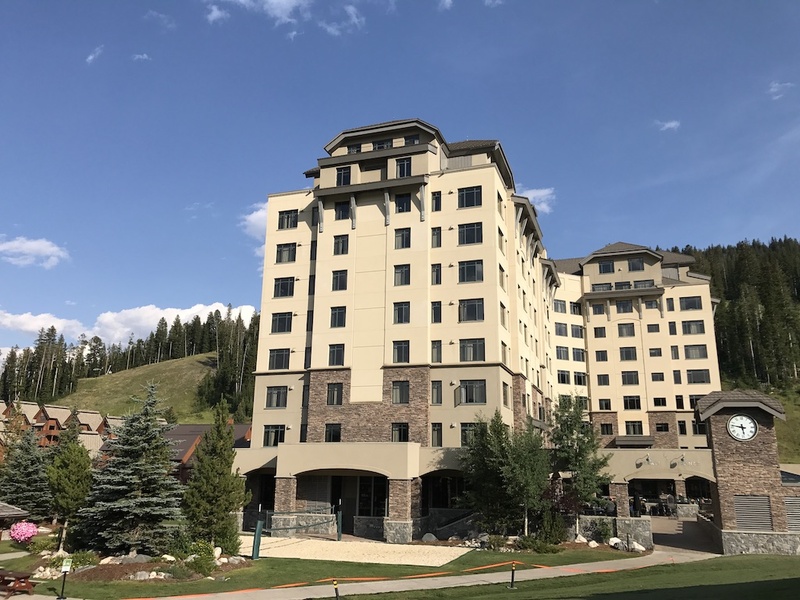 If you make the journey up top to Lone Mountain at Big Sky Resort you will be treated to a panoramic view that includes two national parks and endless mountain peaks. To say it’s breathtaking is an understatement. Taking the ski lifts and tram to the top is a fun trip any time of year. If you visit during the ski season you can take advantage of over 250 ski runs. There are plenty for beginners and intermediate skiers as well as many expert runs that challenge the even most accomplished skiers. 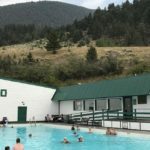 They have the full complement of winter mountain sports as well as a spa center where you can just relax. 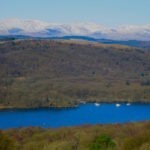 During the summer it’s great to take advantage of the hiking, mountain biking, zip lining, swimming, golfing and more. What we loved were the multiple choices for dining. 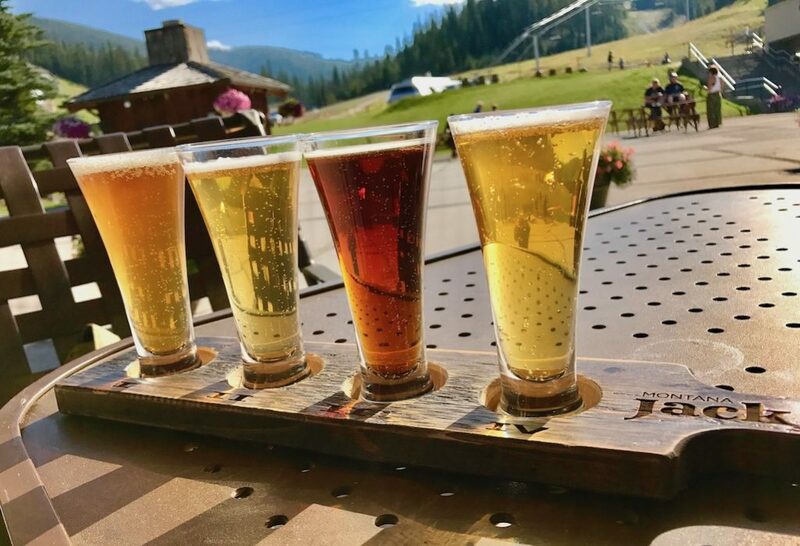 Whether you head up for one of their weekend gourmet dining events like Vine and Dine featuring dinners by top chefs or just want to grab a great flight of local craft beers at Montana Jack the resort has it all. With 9 restaurants on the property, there’s something to please your palate no matter what you’re craving. It’s not enough for Lone Mountain Ranch to be listed as one of National Geographic’s Unique Lodges of the World™. 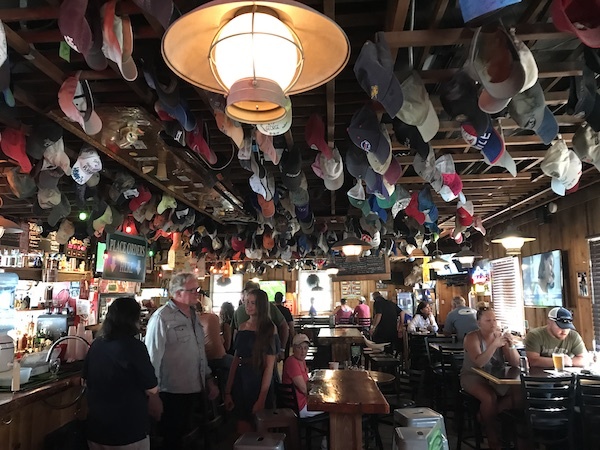 The ranch also happens to have a restaurant on property called the Horn & Cantle that serves up Montana style classics with innovative twists in a relaxed setting. The good news is that you don’t need to stay at the ranch to eat at Horn & Cantle although we’d highly suggest it. The cabins are luxurious and promise a relaxing quiet break from the world. If you’re looking to try some game meats they have plenty. Choose from elk, bison, venison, wild boar. But you also won’t want to miss the trout and salmon. 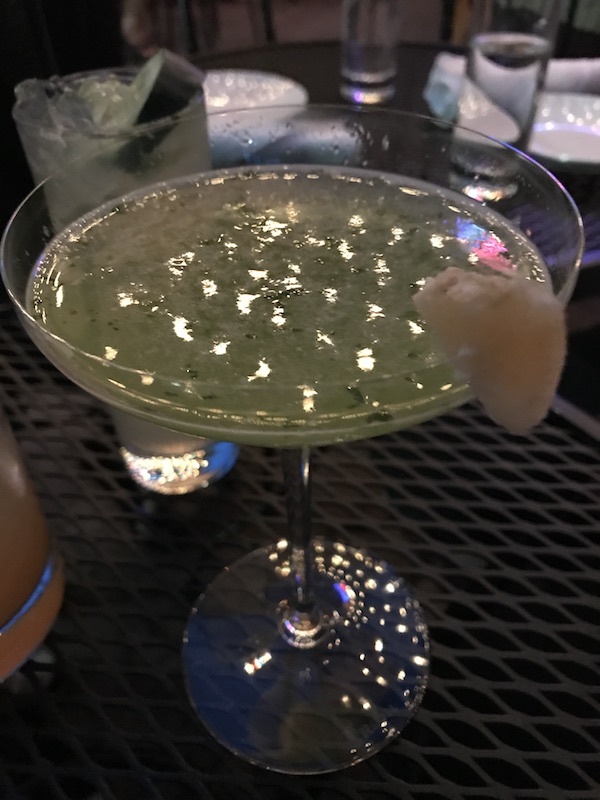 Be sure to start with one of their signature cocktails and sidle up to the well-designed bar with gorgeous views. 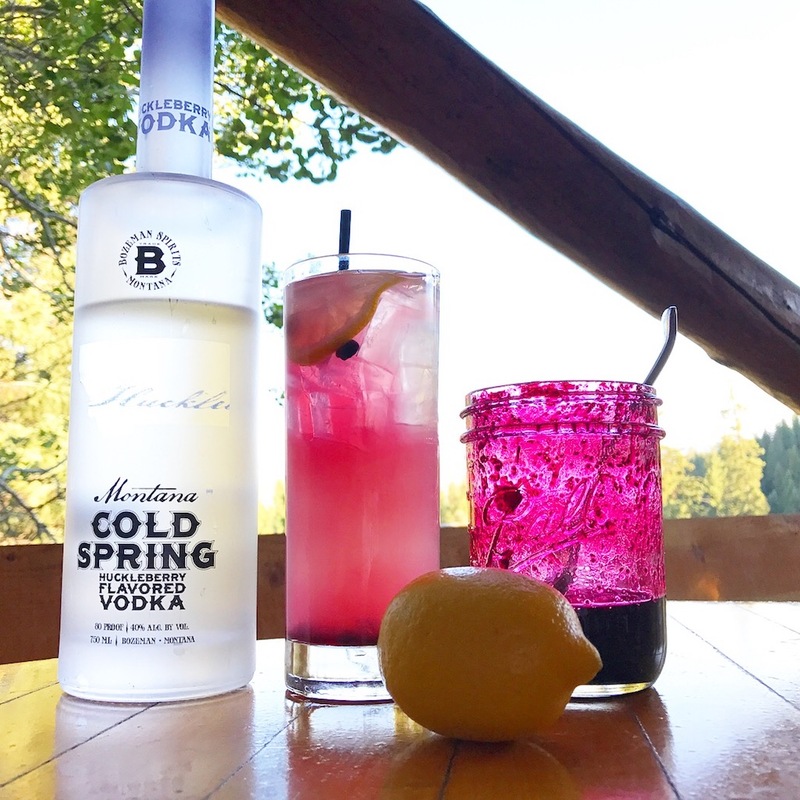 A must is the huckleberry lemonade created with Huckleberry Vodka made in Montana. Pro Tip: sit out on the balcony for a perfect open-air experience. Be warned! You will never want to leave. You know we gotta love a former advertising executive who leaves Chicago to run a lodge in Livingston, Montana. It was a pleasure to meet Chip Hurt and reminisce about the old days in advertising and visit this latest venture. 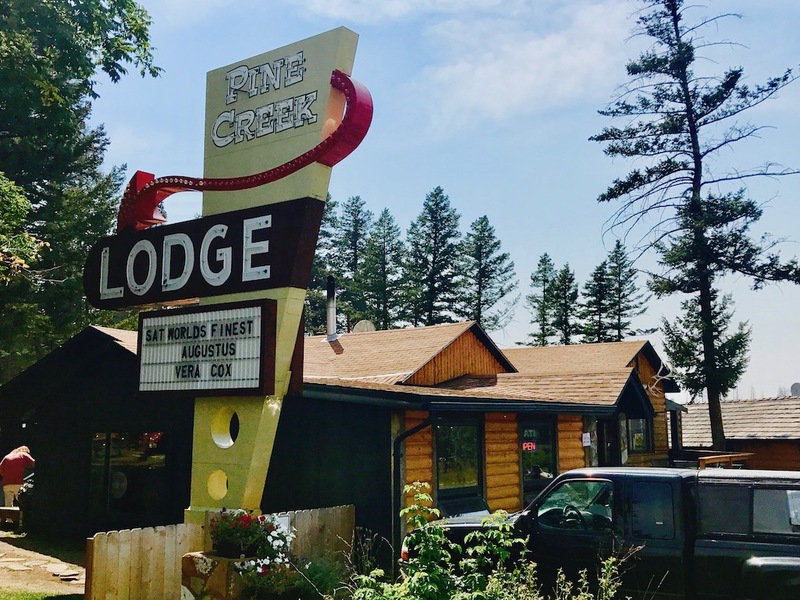 Pine Creek Lodge is not just another place to stay in beautiful Paradise Valley, Livingston, Montana. It’s home to a bustling live music venue featuring local talent and a restaurant serving up some terrific grub. We visited for a great lunch but we heard from several locals that their brunch is outstanding. The menu lists rock and roll items like the Lollapalooza Burger, SXSW chicken sandwich, and even a Chicago Dog!! We had the PCL Montana Wagyu patty topped with smoked cheddar, brown sugar bacon and house-made pickles (we loved them!). You can also fill up with cheese curds, tots, wings and mac n’ cheese. There are also plenty of salads and other entrees to choose from. While in Livingston we were lucky enough to have time to swing by Neptune Brewery. Not only do they have so many delicious craft beers but they also have what they call a beer-centric menu in their restaurant bar up front. The menu of elevated bar food includes hand-cut Kennebec fries, mussels, calamari, edamame and salmon croquettes. But don’t forget the burgers, sandwiches, tacos and very long nigiri, sashimi and maki rolls. Every order coming out of the kitchen looked better than the dish before. 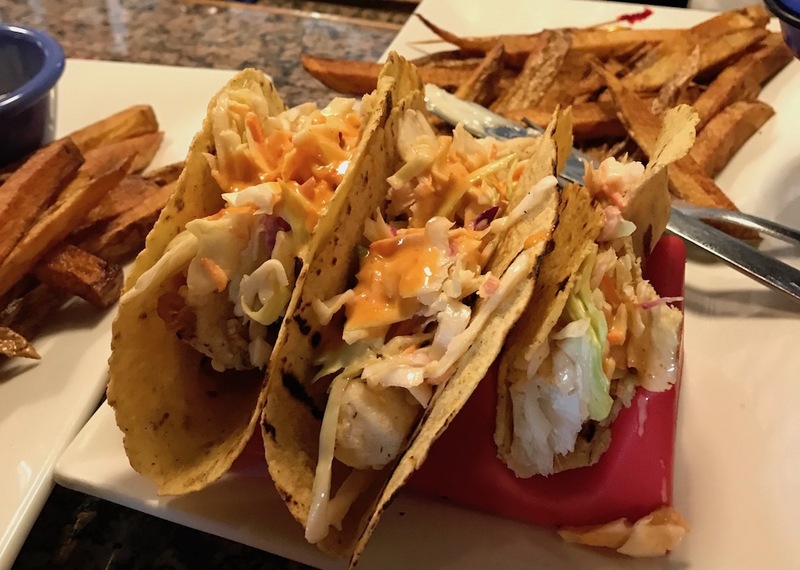 We highly suggest a stop at Neptune Brewery for reasonably priced food ($4-$16) and great beer that is a memorable treat. 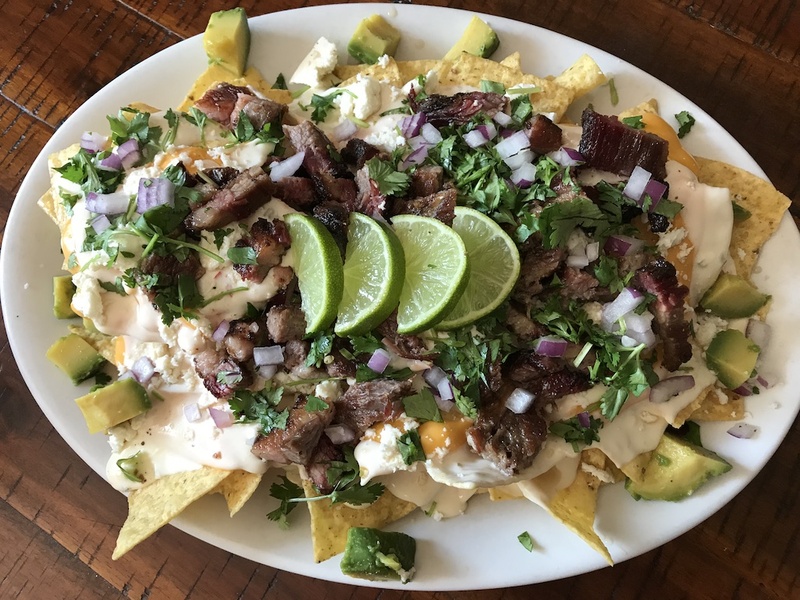 Another spot in Livingston is FeedLot 49. Formerly a local ice cream parlor, Chef Melissa O’Hair is serving fresh salads, sandwiches, and burgers. Highlights on the menu are the truffle fries and the Damn Wind Nachos featuring smoked brisket, white queso, cotija and nacho cheeses, cilantro, red onions and freshly squeezed lime. It’s a plate well worth sharing. And don’t forget to leave room for the desserts, which are all house-made. 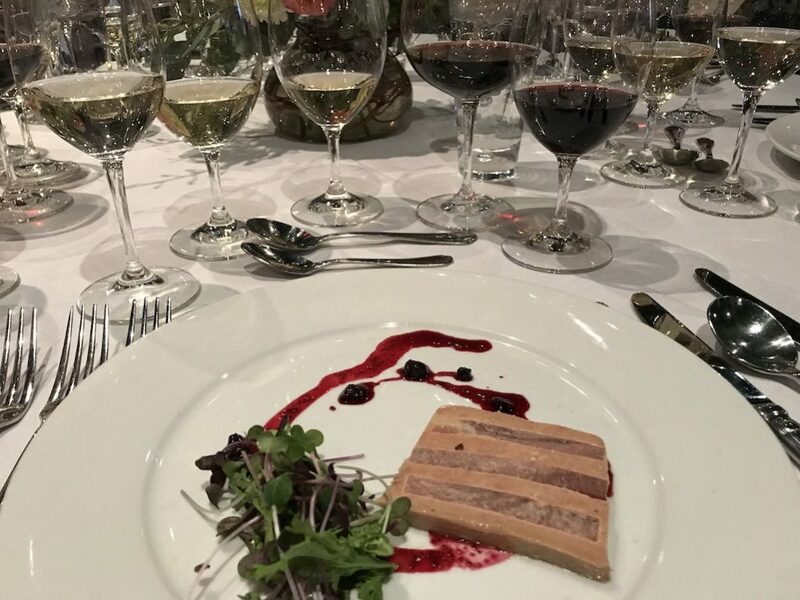 Chico may be the home of its own natural hot spring but it’s also a Food Travelist’s paradise featuring local food specialties and an unbelievable, exhaustive wine list. Just north of Yellowstone National Park this unexpected find is a must visit. Dine in the main dining room, the poolside grill or the saloon (who doesn’t love a saloon?). From burgers in the saloon to a full fine dining experience in the main dining room you’ll simply adore the food at Chico. Click here for our full review of Chico. This small town of 1800 residents in the shadow of the Crazy Mountains serves up big food with their own local style. 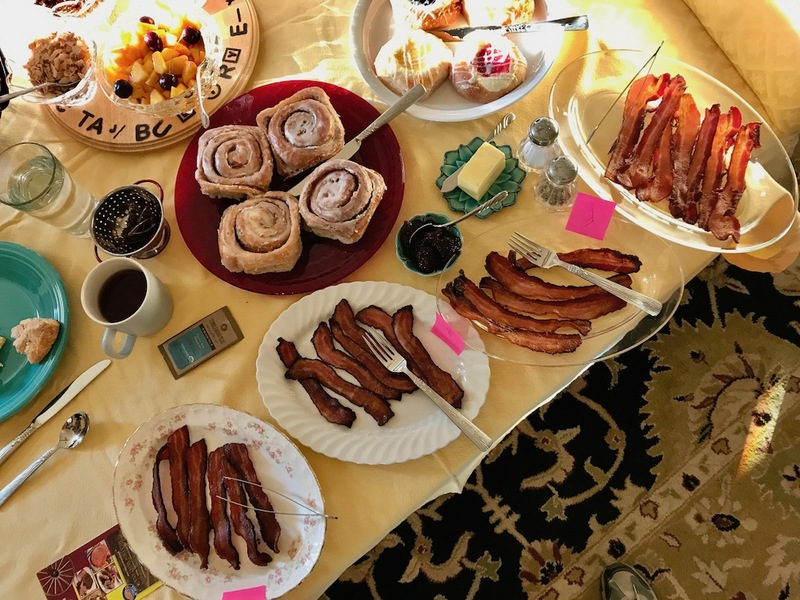 Where else would you be served a bacon flight at a bed and breakfast? That’s just what happened during our stay at the Homestead Bed & Breakfast in Big Timber. Just a few blocks from downtown it’s perfectly located and couldn’t be more comfortable. It’s a well-appointed home from the early 1900’s with beautiful period furnishings and modern amenities like wi-fi and large televisions. The highlight is definitely your host Nancy Williams who served a scrumptious feast accompanied by great stories, much laughter, and total charm. While in Big Timber you’ll want to visit the Grand Hotel Restaurant which is listed on the National Register of Historic Places. Serving up fine dining with locally raised meats and seafood that arrives fresh daily for lunch and dinner. 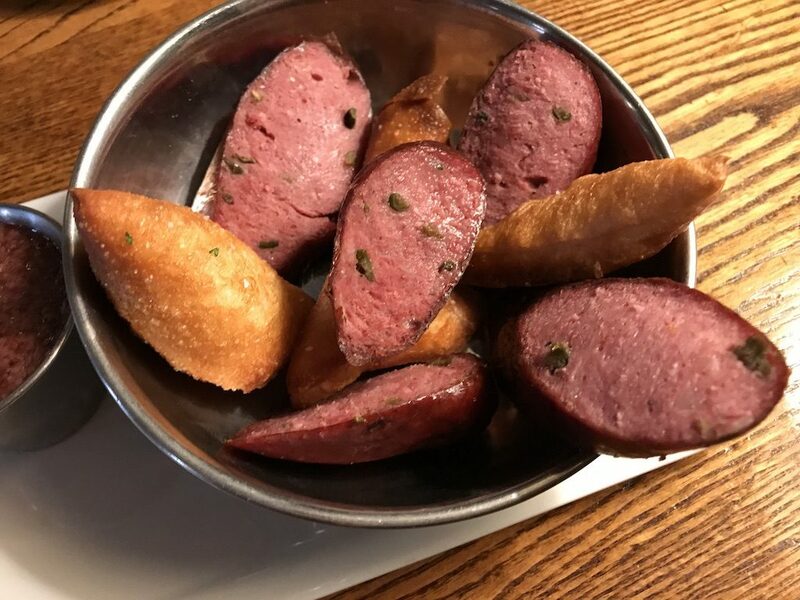 There are unique and delicious chef’s daily specials and if you’re looking for snacks and bar food check out their fully restored 1890 saloon. If you love bakeries (we know you do) check out the Big Timber Bakery. Eat in or take out to one of the many, many places nearby that you can hike and enjoy your food finds out in nature. It’s family owned and you can taste the care that goes into the goodies. Their sandwiches and cinnamon rolls are truly Big Sky country big. Just walk a couple extra miles and enjoy every bite. Another unexpected stop in Yellowstone Country is Tumblewood Teas. Being a tea lover I knew we had to make a quick stop. Fortunately, I was no newcomer to Tumblewood Teas. Chico Hot Springs and Day Spa and Homestead Bed & Breakfast both serve up Tumblewood Teas to their guests. We’re glad to see others supporting this local women-owned business. Little did I know I was in for a special treat when we had the chance to meet with the founders Riza Gilpin and Laurie Rennie while in Big Timber. 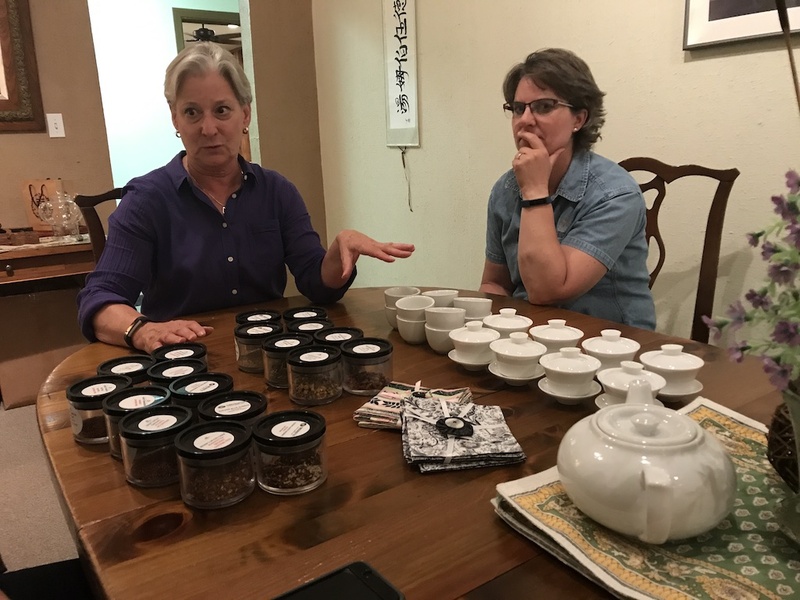 Riza and Laurie from Tumblewood Teas in Big Timber. Founded in 2009, this women-owned business is offering up some really tasty teas. 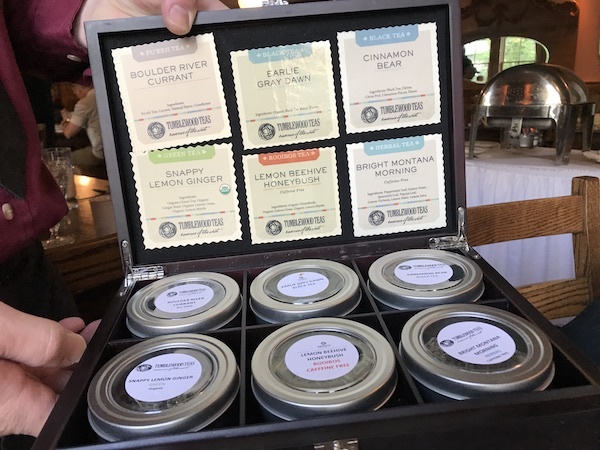 From some of the finest Pu’erh teas to custom blends like Bright Montana Morning, Cowboy Creamsicle (yes, it really taste like a Creamsicle) and I’m Your Huckleberry, they are wonderful. I have to confess that relaxing with these gals and talking teas was one of my highlights of Yellowstone Country. Be sure to go to their website and learn more about them and their tea collection. The good news is you can purchase them all online at TumblewoodTeas.com. Although we didn’t get to spend much time in Bozeman, we can tell you that we’ll definitely need another visit to this blooming community. Walking through the quaint downtown strip and seeing everything that’s going on makes us yearn for more. This is no ordinary college town. The cocktails at Plonk Wine in Bozeman, Montana twinkled under the lights. After a long day, we were lucky to get in a little time to enjoy wine, cocktails, and food at Plonk Wine. Although the wine list is impressive the cocktail program is also well worth a look. We sat out on their magical patio and were immediately transported to another place. Gardens, twinkling lights, and artworks make you feel like you are in your own backyard, but someone else is doing the serving! 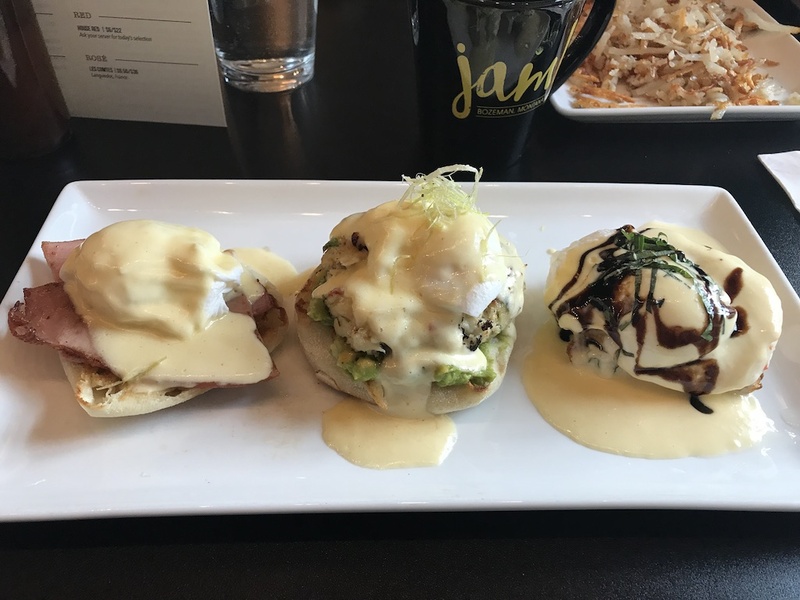 Our last treat in Yellowstone County was breakfast at Jam! in Bozeman. Breakfast is served all day at this popular and bustling spot. After you’ve finished your cruise down Main Street stop in for a luscious breakfast or lunch. Some typical dishes with unique twists make it difficult to choose what to order. May I recommend the trio of Benedicts? You can choose what appeals to you to make your own selection but I went with the Chicken and biscuit, crab cake, and Mia Benedict Italian. All were delicious, and the Mia Bene was ridiculously good. House-made grilled country bread crostini, roasted and charred tomato, fresh mozzarella, balsamic reduction and fresh basil. How does that sound? I thought so! One of the things most travelers seek out in new destinations is ice cream. Montana’s claim to fame is Wilcoxson’s. Our host swore that we needed to try the Wilcoxson’s huckleberry ice cream sandwich. On our journey, we searched high and low for this darn ice cream sandwich. Along the way, I tried Wilcoxson’s huckleberry ice cream bar (really good covered in dark chocolate) and Wilcoxson’s huckleberry ice cream (pure research). Finally, we found the elusive ice cream sandwich in Big Timber. It didn’t disappoint. So be sure to try this local taste treat during your travels. Sometimes locals have favorites that may not be hyper local but are favorites nonetheless. 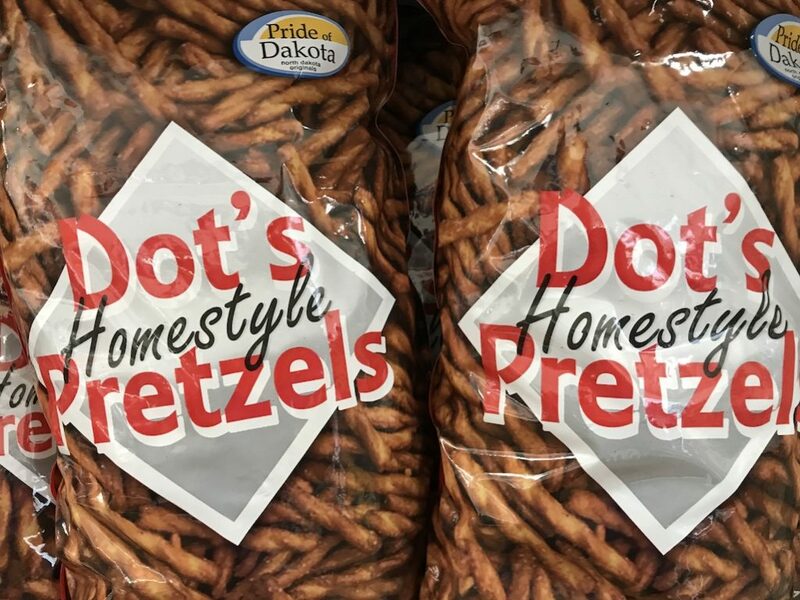 This is the case with Dot’s Homestyle Pretzels. Made in North Dakota they were recommended by everyone and may be the most addictive pretzel we’ve ever had. Dot’s “gourmet” seasonings will have you eat entire bag before you know it. Available at most groceries stores and you can also get Dot’s Pretzels on Amazon too. Clearly, these spots and dishes are just the tip of the iceberg when it comes to eating and drinking in Montana’s Yellowstone Country. 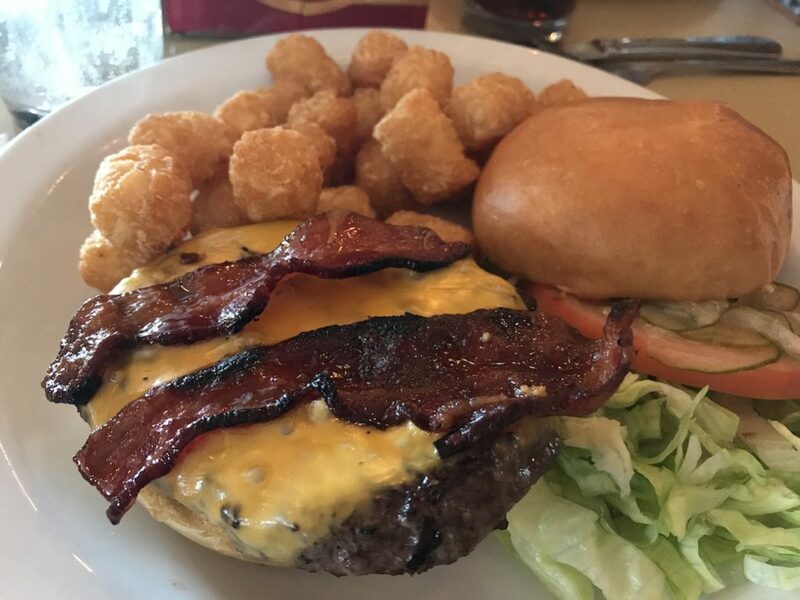 Next time you’re thinking about heading out to the “old west” in Montana be prepared to bring your stretchy pants and eat lots of delicious meals and great snacks too! To learn more about the Yellowstone Country in Montana and plan your visit check out their website visityellowstonecountry.com. If you’ve been to Yellowstone Country please share your favorite spots with us in the comments below. Pin For Your Next Food Travel Destination! Looks like you ventured along the north border of Yellowstone, which is not an area we’ve been to. The two times I’ve been to Yellowstone, I’ve stayed near the west entrance. Sounds like next time we need to go north and try these cities! It all sounds delicious! Hi Kim! Yes, if you haven’t been to this neck of the woods definitely plan a visit. Your photos caused my tummy to rumble. Those bison ribs. And the scallops. Yum! Pinned! I love the small towns in this area; Livingston is one of our favorites. Delectable food photography and ideas. Thanks! I haven’t been to Yellowstone in such a long time. I really need to go back. I just didn’t realize how many different places had so much amazing food there. I know I really need to go out and try some Bison as well as many of those other amazing dishes you had there. Somehow, I never think of Montana as a foodie destination. So I really appreciate this post and the lovely options there are for me to enjoy. What an adventure!!! I have never been to Montana, but it is on my bucket list. All of that food. I would not even know where to start. 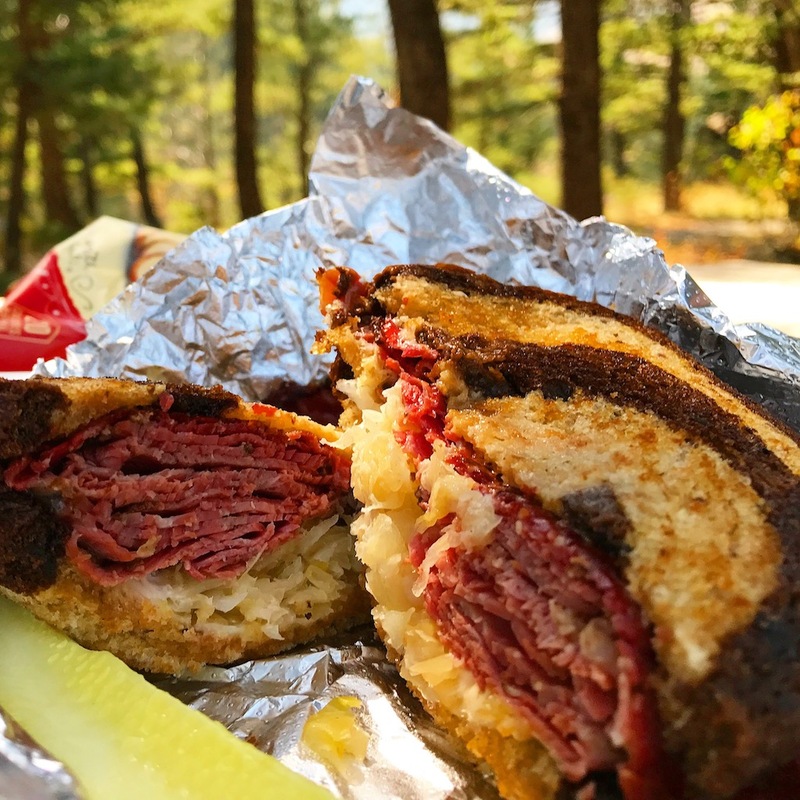 The Ruben is something my hubs would love. That Bread and Breakfast sounds amazing!! Love it all! 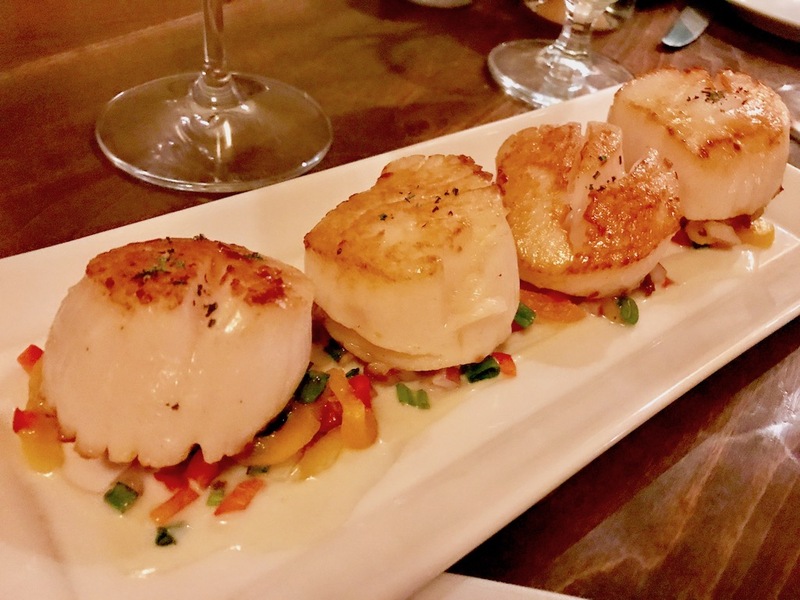 Don’t miss 2nd Street Bistro and Gill’s Goods in Livingston! Thanks for adding these two Margaret. We definitely want to return to Yellowstone Country. Sounds good Ali! It is amazing to us too. We always heard that Montana was beautiful but had no idea just how beautiful until we were there ourselves. Thanks for stopping by. I have never tried bison. Yet, I am finding the picture of the tender & tasty bison short rib at Lone Mountain Ranch quite appealing to the eye. I have just told my husband that I want to visit Yellowstone Country for our next getaway. The food, the gorgeous views are just some of the reasons why I want to go to Montana someday with my husband and son. Thanks for sharing your experiences. Just sign me up for a food coma because I would eat everything on this table. Food is a huge part of my existence and travel experience. The Lone Mountain Ranch is right up our alley. I would not have thought about food when I thought about visiting Yellowstone. This article intrigues me because all I really thought about was sking and that is something we so not enjoy. Nice read! I’ve always wanted to go to Montana. Those views are just incredible. And the food? They had me at bison. YUM! I am saving this post. 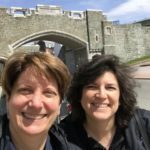 WE are hoping to do a trip to Yellowstone next summer and we are foodies so we love to try new places while on vacation. I love that you found a really nice place to enjoy your vacation meal. I cannot wait to take our kids to Yellowstone country! Those nachos look like something I would try and definitely enjoy. One of the things that I always like the best about traveling is trying the local fare. I will have to keep a few of these in mind if I am ever out that way. I have never been to Montana, but I have seen so much of its beauty through your post. The resorts you visited look gorgeous and I would stay at any of them. I think I would stay at Big Sky Resort first. The resort is nestled in the mountains so well and the food looks so scrumptious. How could I say no? You had me at the wine, then the brews, then the food, then the mixed drinks, and the place OMG I have to go there SOON! It’s like all my favorite things in life! How could you possibly choose out of all those great places?? I love every place you went to and can’t believe I’ve never gone through there. It sounds like we have a few places to hit up. 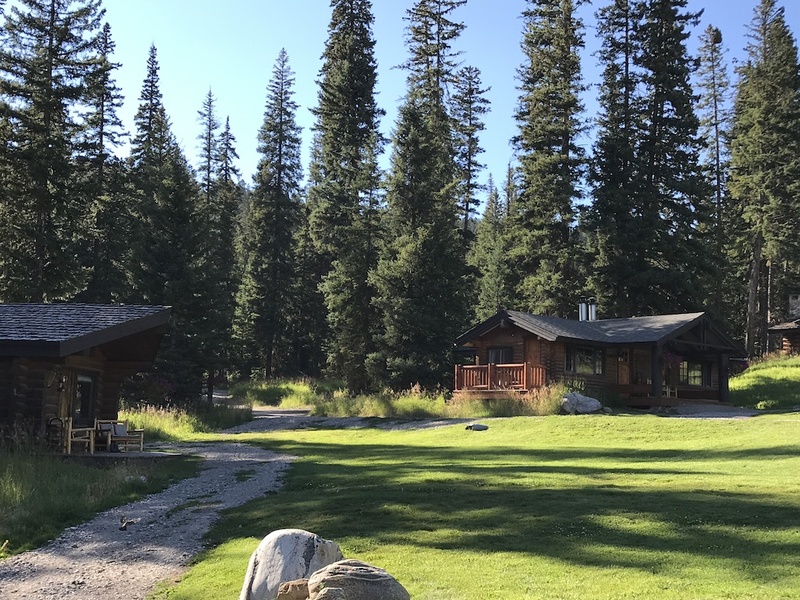 The Lone Mountain Ranch sounds perfect for my family. I’ve only been to BIG SKY once, in the DEAD of Winter when it was like – 40 degrees (I kid you not), but your photos are bringing back memories for me! Also, I am from Jackson WY, so Yellowstone is so close to my heart. I loveeee MT and WY so much, ugh! I need to visit before it gets WAYYYY toooooo cold! ha! Yellowstone country looks like a great place to visit. My family would definitely enjoy the wide open spaces. All of the food looks delicious too, especially the bison short ribs. I had no idea there was such a variety of food there. Thanks for the wonderful review. I am always looking for new places to visit and you have piqued my interest. Sue, without a doubt, all the food that you wrote about looked amazing. And it’s in a place I’ve always wanted to visit. I zoomed in on the scallops because I was wondering how big they were. Looking at them beside your wine glasses…yes, they looked big! 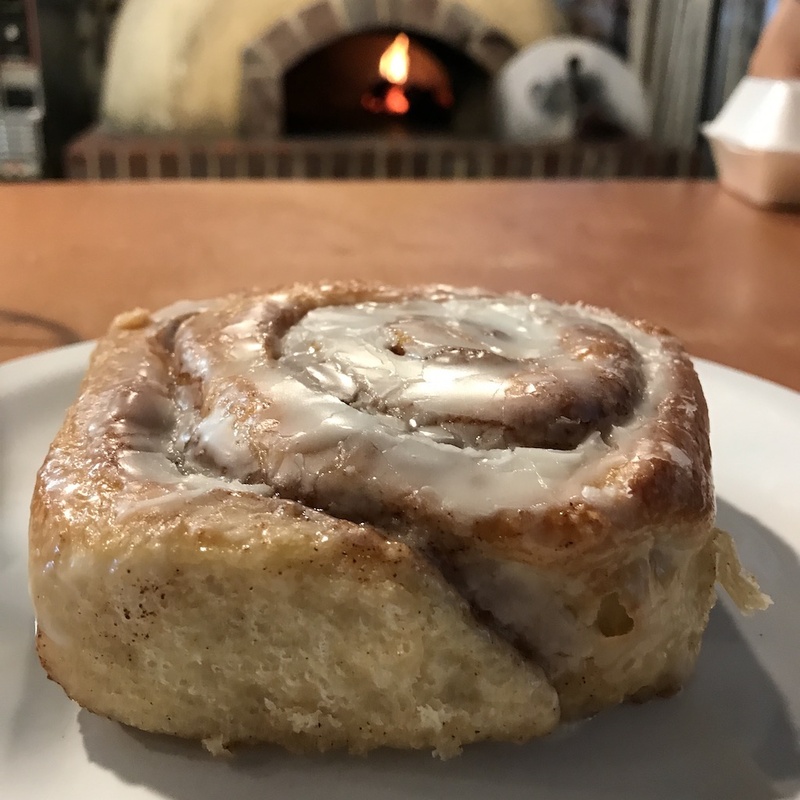 I would eat absolutely everything you showed, including the cinnamon bun. I would gain SO much weight staying there I’d have to do tons of outdoor activities like you mentioned! 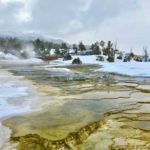 I’m going to Yellowstone next summer and will be putting some of these places on our list! there are just so many great options! can’t wait to visit! Everything looks great! These photos are so beautiful. Even the food looks amazing! This is somewhere I would certainly want to be. We will be going there for vacation next year and I cannot wait to try all these delicious foods. MY sister used to live out there but I have never been to visit. I would love to check it out in person for sure, looks beautiful! I would love to visit the Yellowstone area, I’m sure there is no shortage of things to see and do! That huckleberry drink looks pretty cool. Looks like all the food and drinks were great! I really want to do a road trip out this way with my family. I love this post! 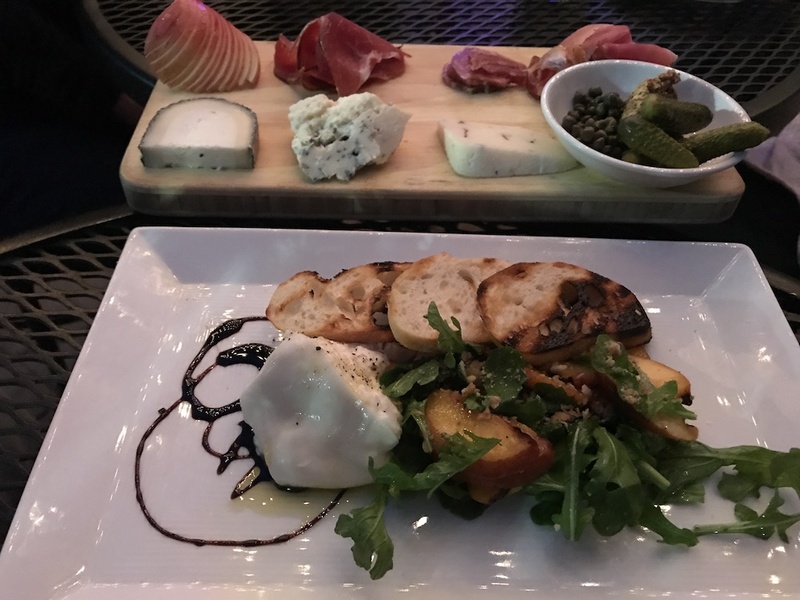 And I am super jealous of you for getting to try all these yummy treats! Montana looks so beautiful! 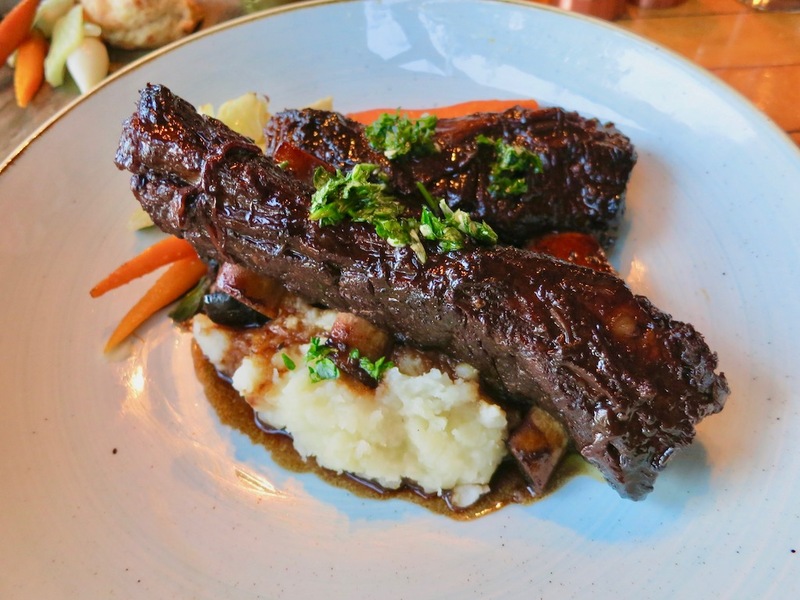 That short rib looks out of this world! I love Montana and I love Yellowstone, so many mountains and great places to see! This looks like a great place to get away and recharge. Montana is so beautiful. I will have to try to plan a trip there someday. I’m hungry now that I’ve read your post and seen your photos! I was looking forward to going back to Yellowstone for the views, now I want to go back for the food! I am considering adding a food aspect to my blog. I have to check out Yellowstone Country, sounds delicious. This sounds like the most amazing thing ever! I love the idea of soaking up nature’s beauty and then eating a ton of delicious food! Doesn’t really get any better Danielle! Thanks for stopping by. Wow! You could almost get me to take a trip to Yellowstone just for the food. It looks absolutely amazing! All of that food looks so amazing. I really would love to try the Huckleberry drink. That looks refreshing! It really was! Highly recommend trying one. OMG! My mouth is watering from all the amazing food you shared. Breakfast is my favorite so that egg dish makes me want to visit. So many wonderful breakfasts in Montana. Hope you get to visit one day. I have to admit that when I think (thought, before this post) of Yellowstone country I didn’t think of fine dining and specialty drinks. Great review of what looks like a great experience! Thanks, Jackie! Have to admit that it surprised us too. Hope you visit one day.